Blog.bible is a ministry of American Bible Society and seeks to equip you—and your community–to encounter God in the pages of Scripture. 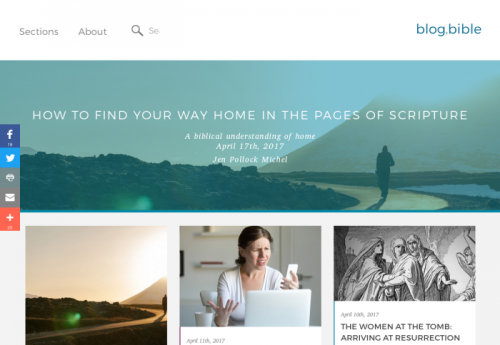 As you browse blog.bible, you’ll encounter practical ideas and guidance to help you engage deeper with Scripture. You’ll explore insights for leading others into Bible engagement and find strength in God’s Word to face everyday struggles.